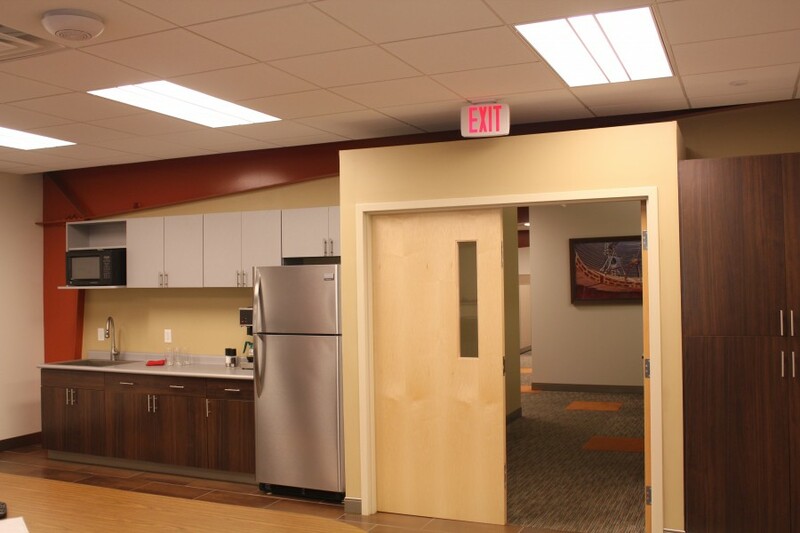 Quad3 Group provided interior design services for the second floor at Berry Metal Company. 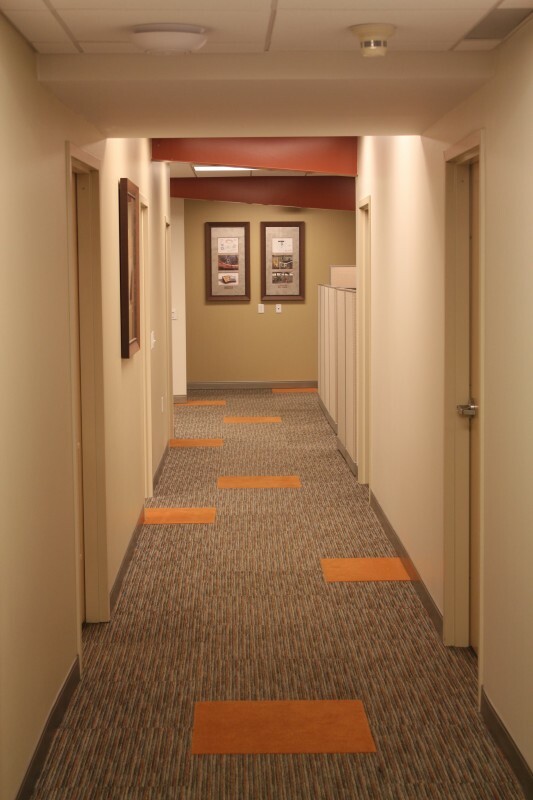 The 6,900 SF renovation encompassed the conference room, restrooms, private offices, and open workstations. The goal was to modernize the space and incorporate manufacturing information as well as artwork of the company’s patented products to inform visitors of their capabilities. After successful concept development, Quad3 was able to provide a design that merged the client’s vision with a twist on modern design. 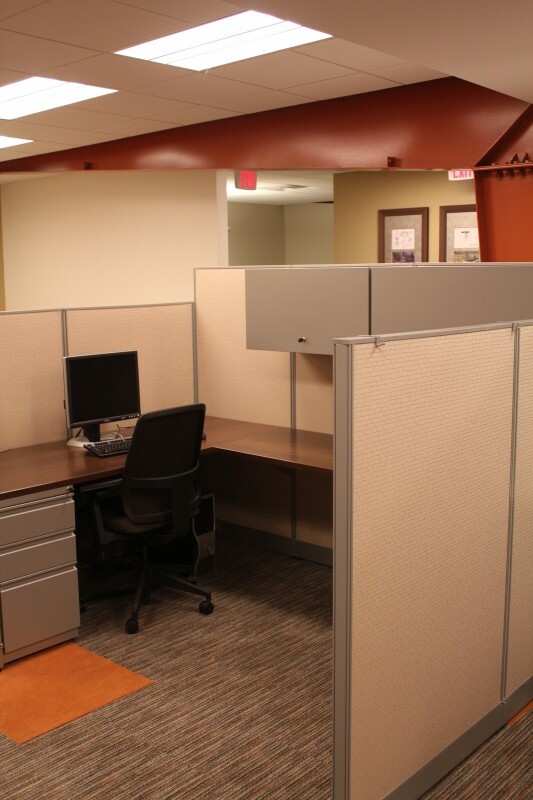 The Berry Metal Company as well as the Construction Manager were pleased that Quad3’s design talents aided in the company’s portrayal of a manufacturing organization that has evolved by giving the renovated areas a refreshed and modern style with timeless character. 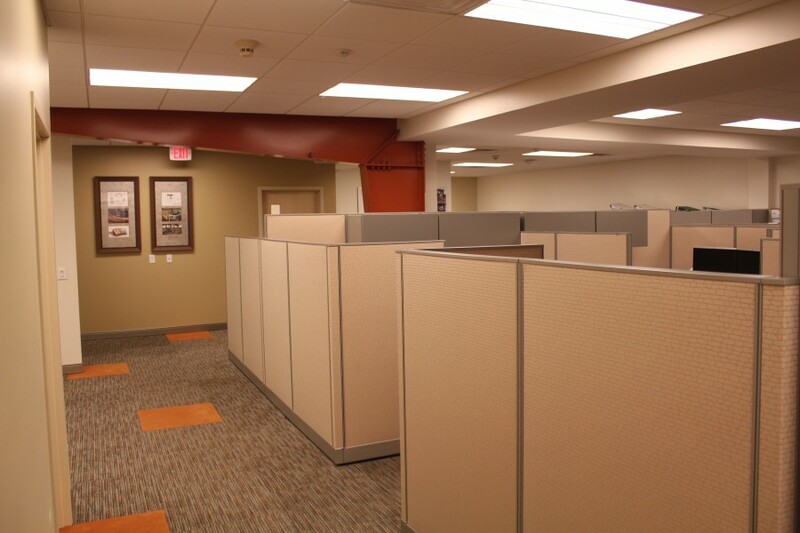 Due to its unique location and the multi-use capabilities of the building, interior selections for the second floor renovation included work stations, furniture, carpet, wall covering, paint, base, custom casework, light fixtures as well as the selection and coordination of multiple custom artwork pieces that are displayed throughout the space.